While plenty of businesses are still discovering the power of video marketing for engaging and building audiences, we’ve seen early evidence that creating episodic video content can help businesses deliver value consistently. The web is a noisy place, with e-books and blog posts galore, and as marketers, it can be difficult to keep people coming back for more. But with episodic video, brands can deliver their unique message consistently through a series that aligns with their business and resonates with their audience. After all, video is one of the most engaging mediums for conveying complex or emotional messages. 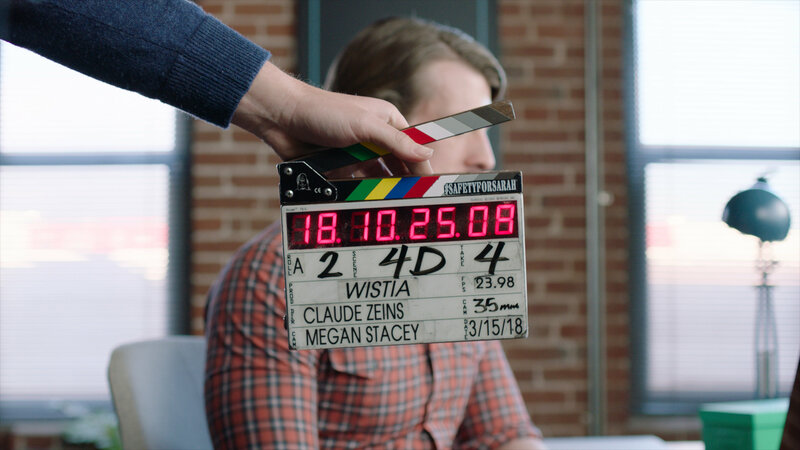 At Wistia, we even gave episodic content a go when we produced our own original four-part series One, Ten, One Hundred (shameless plug … but really, check it out!). In this post, we’re bringing you four companies we believe are creating smart episodic video content and leading the pack for big and small organizations alike. From a giant music streaming service to an insurance agency with simple solutions, read on to hear about what type of video series these businesses have whipped up, and why others should hop on board! Aside from being a music streaming service loved by millions, one branch of Spotify’s service specifically caters to aspiring artists who are looking to grow and share their music with the world — Spotify for Artists. This service allows people to upload their tracks, promote new music, and see their song stats and fan insights firsthand. So, if you’re a musician, getting your own music on Spotify and out into the universe is easier than you may have originally thought. To help you along your journey, Spotify for Artists rolls out blog posts, news updates, and even two episodic video series that provide valuable advice for anybody who’s passionate about making music. One of Spotify’s episodic series, The Game Plan, educates, delights, and above all else, aligns with Spotify’s brand perfectly. For artists with big dreams, The Game Plan roadmaps everything people need to get the most out of Spotify, such as the logistics of getting set up, engaging your audience on their platform, understanding the industry on a business level, and more. Not only do you get the scoop from experts inside Spotify, but music legends like Sheryl Crow, Matt & Kim, and Mike Posner tap in to share their insight about promoting music and reading the fine print when it comes to copyright. As a brand, Spotify has crafted a delightfully personalized music streaming experience for its users. With great care and consideration for one audience who uses their service, they’ve created a helpful episodic series that answers striving artists’ questions. Not only does it guide you through getting your music set up on the platform, but it also establishes a connection between you, well-known artists in the industry, and Spotify’s brand. So, if you’re a business that wants to help your customers get the most out of your product in an engaging way, taking a few pointers from Spotify’s episodic series is a great starting place for inspiration! Drift, the first conversational marketing platform, is another company creating episodic content that aligns with their business' mission and the products they sell. Defining themselves as “an enduring company and a platform that emphasizes the value of human interactions and connection,” their system’s features are designed with an intense customer focus in mind to help marketing and sales teams be more successful. For example, one of their features is a responsive bot you can have on your site that performs as a 24/7 Sales Development Rep & Demand Gen team. With the platform, you can also create landing pages and provide anonymous visitor intelligence that helps give teams a boost when it comes to closing more deals for your business. To support Drift’s mission, which is to “turn the internet into a conversation,” they’ve set up a series called Coffee with a CMO hosted by Dave Gerhardt. Each episode gives you an inside look at what CMOs are actually doing behind the scenes. Over an informal conversation (plus coffee), CMOs shed their intimidating titles to answer questions most marketers, like Dave, want to know. In the series thus far, Drift has sat down with Joe Chernov of InsightSquared, Tim Kopp formerly of Exacttarget, Brian Kardon of Fuze, and Mike Volpe CEO of Lola. Digging into topics such as hiring, interviewing for marketing, past mentors, and career transitions, Drift engages their audience and reinforces the idea that authentic conversation builds stronger relationships. By referring back to your own business’ mission and knowing who your audience is, you can concept an episodic series like Drift that aligns with your organization and offers people real value. There’s a good chance that if viewers like your ideas, you’ll remain top of mind, and they’ll be enticed to tune in again! Even an insurance agency has developed an episodic series that helps them achieve their goals. Say hello to Sahouri, a company playing a leading role in the insurtech movement, which involves the use of technology to help make the insurance process smarter and more efficient for consumers. For many people, insurance questions are some of the most worrisome, and nothing is more stressful than when you feel like your problems aren’t being heard. Sahouri stands out from the rest by wow-ing their clients with outstanding customer service, in turn becoming a business people love and respect. To help them achieve their goals, they’ve started using the power of video to connect in a more personal way. Sahouri’s web series talk show is called "Allen and Lauri". Allen Hudson is a Certified Insurance Counselor (CIC), and Lauri Ryder is a Certified Risk Manager and CIC. Together they “cover insurance trends, FAQs, and events for CAI members and the community association industry at large.” Each episode’s objectives are to educate viewers on their exposures, make complex insurance topics easier to understand, and spotlight current business world events concerning community associations. As we mentioned before, insurance questions can be rather stress-inducing. And when you’re calling an insurance company for help, you can often forget people on the other end aren’t just robots feeding you automated information. Allen and Lauri reminds you of the real people who work at Sahouri that are dedicated to helping you solve your most complex insurance problems. While delivering smart solutions and advice, they also add a dash of humor. Although we can’t say a web talk show is right for everyone, reaching individuals and answering questions with an episodic video series can help you differentiate your company from the rest of the pack. And remember, using video to showcase your message can be particularly impactful when your goal is to combat stigma or change the perceptions of a business or indsutry. Last but not least, we have Zaius, a Customer Relationship Management (CRM) platform for B2C marketers. Part of Zaius' mission is to help businesses engineer the hard-sought repeat customer. After all, customer loyalty isn’t the same as it used to be, and some might suggest it’s dwindling every day. Because people are presented with an abundance of options across multiple marketing channels and devices, it’s a real challenge for marketers to find the right time and place to communicate with prospects. If you’ve ever accidentally spent hours watching unboxing videos on YouTube, you’re not alone. Marketing Unboxed plays on that concept while adding marketing expertise into the mix. In each episode, Zaius’ content strategists Jordan Wellin and Cara Hogan buy, unbox, and analyze the way top ecommerce brands like Glossier, Spikeball, and Rebecca Minkoff communicate with prospects and customers throughout the buyer’s journey. The series is entertaining and informational for marketers, while highlighting the importance of consumer lifecycle analysis and segmentation for smarter campaigns. By presenting the successes and shortcomings of today’s top brands, people can adopt best practices and apply it to their own efforts. Ultimately, Marketing Unboxed aligns with Zaius’ service focused on engineering the repeat purchase. Despite being a web platform, the business proves that people from other tech companies can find a way to step in front of the camera and create an engaging series that will help build audiences. Now that you know four companies, big and small, who took a leap of faith and produced their own episodic video series, we encourage you to see if this type of video content could help your company achieve its goals. Whether you’re a tech company helping marketers or a music streaming platform advising aspiring artists, concepting an episodic series that works for you is inside the realm of possibility. So, get out there and use episodic content to your advantage!